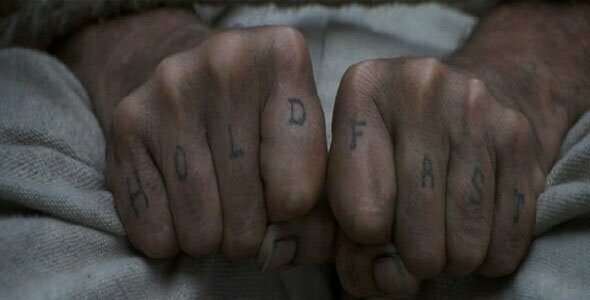 In my mind Master and Commander: The Far Side of the World is almost without question the best, seafaring adventure movie ever made. Better still, unlike a lot of the movies Hollywood tries to force into a franchise mold in pursuit of more money, it naturally lends itself to a sequel. In fact it’s based on a lengthy series of books by Patrick O’Brian. The sequels are already written, just sitting there waiting for someone to do something with them. Unfortunately the film achieved only modest results at the box office when it debuted in 2003 and despite a lot of initial enthusiasm for the project from everyone involved, there’s been no real movement to do anything with it. But Russell Crowe hasn’t given up. It was back in mid-2009 here that we first heard Russell Crowe was working on developing a Master and Commander 2. Since then we haven’t heard much about the project. Maybe Crowe’s tweet is just the result of random, after-midnight musings or maybe he’s really been talking to Fox about getting it done and is looking for help in getting them on his side. Either way, I’ll bite. If there’s a fight, I’m on Capt. Jack Aubrey's side. Since you probably don’t have Tom Rothman’s email, I’d like to suggest an alternative means of supporting Russell Crowe’s push to revive Master and Commander as a franchise. 20th Century Fox has recently set up a twitter account, to promote their upcoming movies. Rather than waiting on Russell to look up Rothman’s email address, simply click right here to tell 20th Century Fox how much you want Master and Commander 2. Rally together and hold fast!